Brilliant article by Jeff Bolster on rowing in the magazine Soundings October issue. 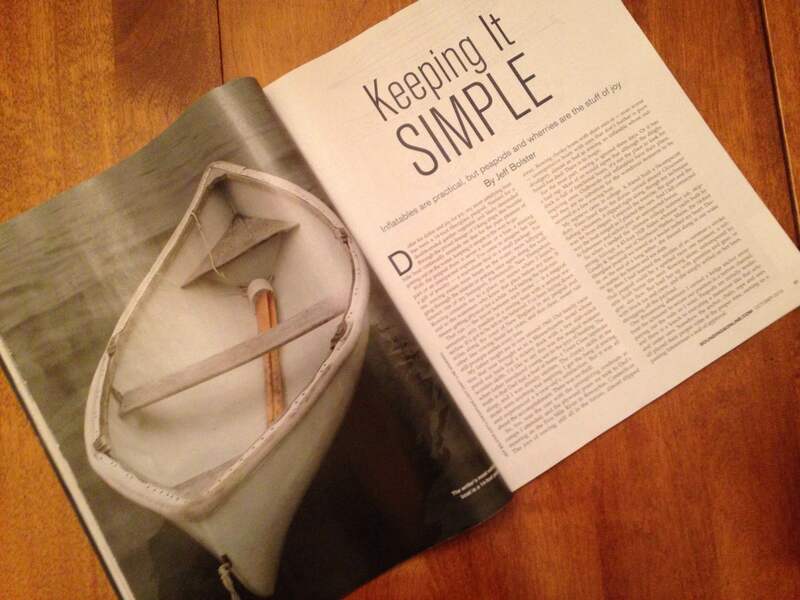 In the current issue (October) of the American magazine Soundings is a brilliant article on rowing, “Keeping It Simple”, by Jeff Bolster, professor of History at University of New Hampshire, who is a winner of both the Bancroft Prize and the Lindberg Award. Bolster’s father taught him to row when he was six and although he rowed as a youth, it was first when he started college he took up rowing more seriously. 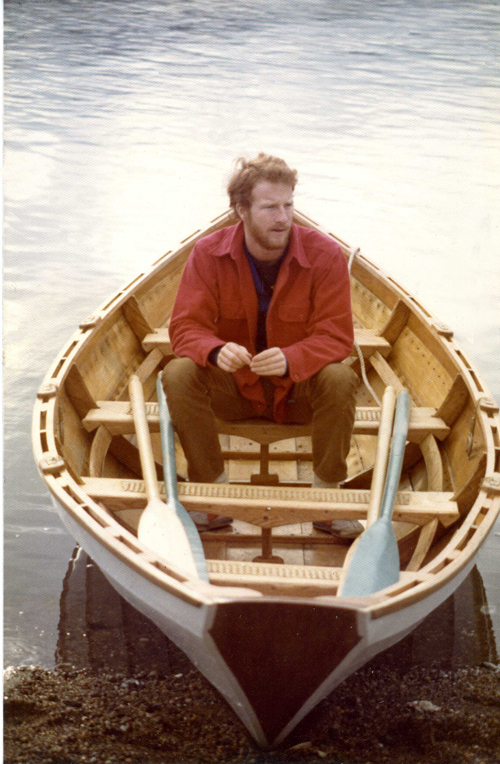 However, it was not the typical college rowing, which Americans call ‘crew’ – instead Bolster rowed in a working boat, a Swampscott dory, which a friend of his had built. It was during a college summer job, skippering a 43-foot schooner, Bolster fell in love with the yacht’s tender boat, a 14-foot fiberglass peapod. This type of rowboat is still Bolster’s favorite. He explains that the peapod is named ‘for a double-ended garden vegetable and likely descended through the proud lineage of Viking ships’. Jeff Bolster. From Soundings magazine. 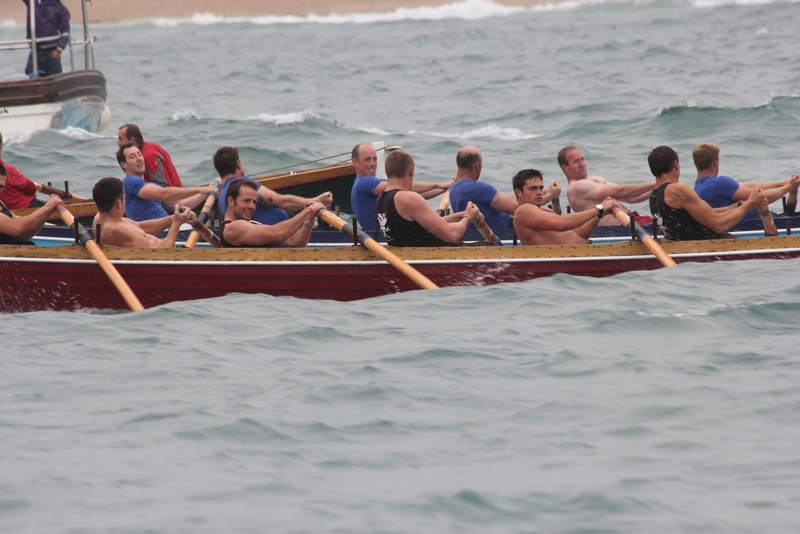 Rowing connects me to a place, no matter where I launch, and to the watermen who knew that place before my time. It means getting physical for a while. And feeling the boat run. How right Bolster is. Read his article in Soundings here. On Sounding’s website is not only articles but also short videos. A few weeks ago I got pulled into a Soundings’s video that is a kind of an appendix to Bolster’s article “Keeping It Simple”. Three weeks ago, I received a telephone call at the office from my boss at Mystic Seaport, saying that he needed my help at the museum’s Small Boat Livery. I was there in less than 10 minutes. I was introduced to a young lady, Colleen Mason, who is an editor and reporter at Soundings. She explained that her publication was going to show some boats from the museum’s Boathouse in a short video, which was going to be linked to an article on rowing by Jeff Bolster. I had been recommended as ‘an oarsman’ by my boss. 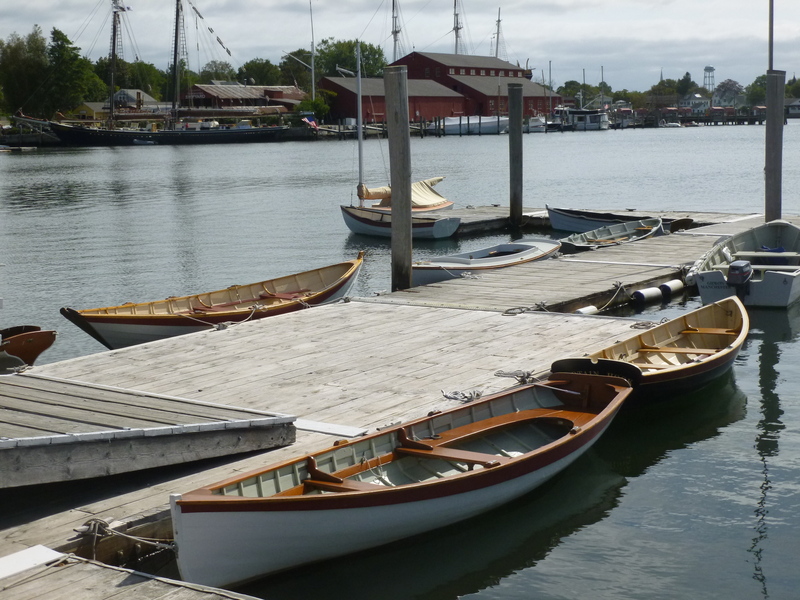 The ‘star’ of this little film about small boats at Mystic Seaport is Walter Ansel, senior shipwright at the museum’s Henry B. duPont Preservation Shipyard. He is the second generation of shipwrights at the museum’s Shipyard, as his father, Willits ‘Will’ Ansel, also has worked there. Walter’s daughter, Evelyn, has also worked in the Shipyard. However, for the rowing on the river: there I was on the Mystic River for my first outing this season (I am ashamed to write). 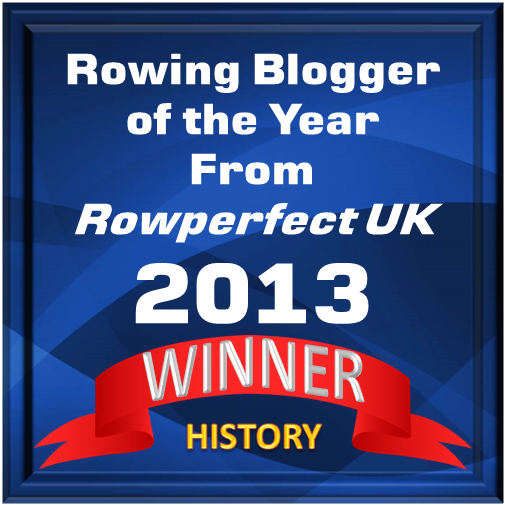 I started out in one of the Boathouse’s peapods, then continued my mission in two different Whitehall boats. It took a little while for me to get used to the fixed seat in the peapod, but I guess I managed. Out of the three boats I rowed, Captain Hook, a 12-foot Whitehall ‘pulling boat’, is probably the one that I enjoyed most. This boat type was built in Maine, where they were called ‘round-bottom rowboats’, but they were built exactly like the Whitehalls of Boston and New York. Though, I agree with Bolster about what he writes, I am a little more of a snob than he is, I like the boats to be built out of wood. 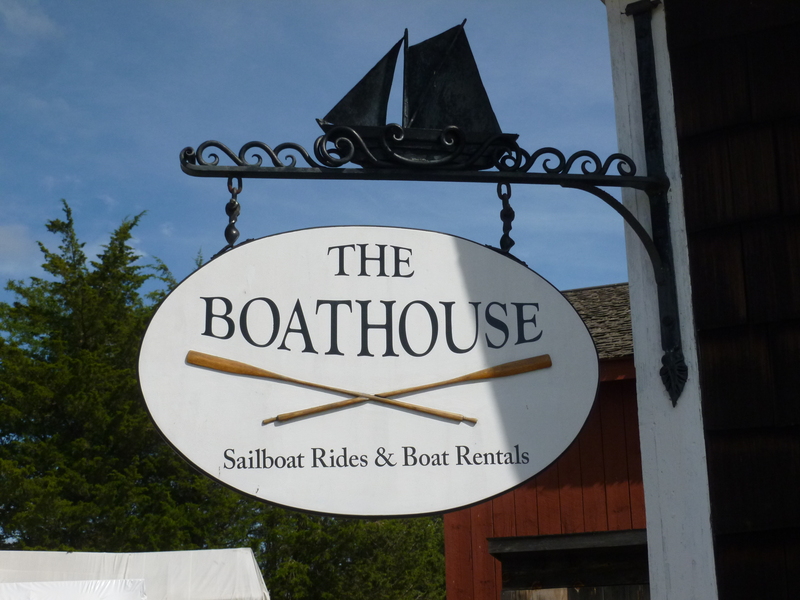 And I find them at the Boathouse at Mystic Seaport, but please note, it is a seasonal business at the museum. Chris, you are right, I am a slidey-seater, which I sort of mention in the article. I was desperately looking for ‘the moving seat’ in all three boats. The rowers in the image that you have tagged along in your comment have an incredible lay-back – they are, however, sweep rowers…..